Earlier, Saudi Crown Prince Mohammed bin Salman declared that Turkish authorities could search the Consulate General building if necessary. Riyadh also affirmed "its total rejection of any threats and attempts to undermine it", and promised to retaliate against any possible sanctions that might be imposed against the country. "The King has ordered the Public Prosecutor to open an internal investigation into the Khashoggi matter based on the info from the joint team in Istanbul," a Saudi official, who is not authorized to speak publicly, said as quoted by Reuters. After Ankara claimed that Khashoggi could’ve been arrested or even killed while inside the diplomatic mission, Crown Prince of Saudi Arabia Mohammed bin Salman replied that Turkish authorities could search the Consulate General building if necessary. According to the Saudi press agency, King Salman also discussed the Khashoggi case with Turkish President Recep Tayyip Erdogan during a telephone call. The king thanked the Turkish president for welcoming the Saudi government's proposal to form a joint working group to probe the journalist's disappearance, and stressed that no one could undermine the relationship between Riyadh and Ankara. Earlier today, a Turkish diplomatic source has revealed that Turkey will search the Saudi consulate in Istanbul as part of the investigation into Khashoggi case. "It is expected that a search will take place towards the evening," the source said, adding that the search will be conducted jointly with the Saudi authorities. 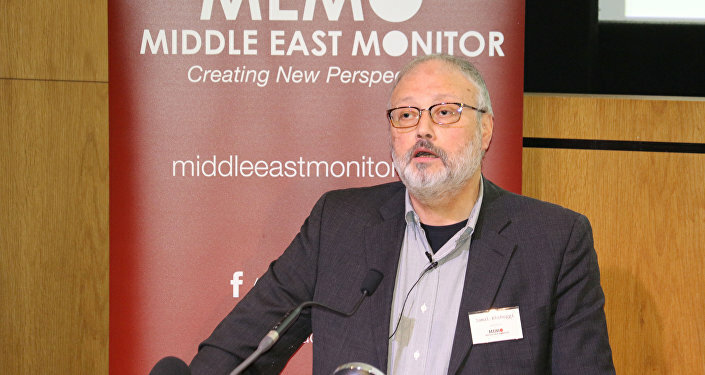 The Washington Post previously reported that Turkey informed US officials about audio and video recordings suggesting the journalist had been murdered in the Saudi consulate. A number of states, including Germany, France and the United Kingdom, have expressed serious concerns over the journalist's disappearance. US President Donald Trump on Saturday threatened to "punish" Riyadh if it were proven to be behind the suspected killing. However, a Saudi official source said in a statement distributed by Saudi Press Agency that Riyadh would retaliate to any sanctions imposed against it. "The Kingdom affirms its total rejection of any threats and attempts to undermine it, whether by threatening to impose economic sanctions, using political pressures, or repeating false accusations. These will not undermine the Kingdom and its staunch positions and its stature at the Arab, Islamic and international level," the source said as quoted by Saudi Gazette. The source also pointed out that the Kingdom of Saudi Arabia "affirms that if it receives any action, it will respond with greater action." "The Kingdom’s economy has an influential and vital role in the global economy and its economy is affected only by the impact of the global economy," the source added.